Carrier, and the label-head himself amongst others. 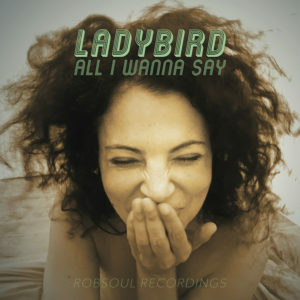 collaborations with Robsoul’s Phil Weeks followed suit, such as last year’s ‘She Can’t Love You’. joining on production duties throughout the project. JFilt and ‘Off The Hook’ with Joss Moog stand as hazy, Downtempo contributions to the project. Ladybird’s soaring, hypnotic vocal stylings. House music, ‘All I Wanna Say’ perfectly showcases how contemporary House music still has soul. Ladybird’s ‘All I Wanna Say’ is out on Robsoul Recordings 19th October 2018.